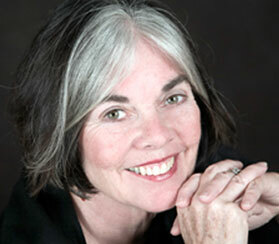 The guest presenter at our April 2005 LifeLines Retreat, Maureen Murdock is a psychotherapist, creative writing teacher, and a many-times published author. She lives in Oakland, CA. Her books include the very influential book, The Heroine’s Journey: Women’s Quest for Wholeness. She is also the editor of Monday Morning Memoirs: Women in the Second Half of Life, a collection of stories by the women in her writing classes. In 2003, she published Unreliable Truth: On Memoir and Memory. In our interview, Maureen Murdock talked to me about her recent book and about the role of myth in our life story. Story Circle Journal: Your book, Unreliable Truth, is part memoir and part essay about the meaning of memoir and the craft of memoir writing. When you started the book, did you set out intending to write it in this way? How did it evolve into the final blend of memoir and essay? Maureen Murdock: The book actually began as an essay about the similarities between myth and memoir. I had been teaching myth, literature and religious studies for five years at Pacifica Graduate Institute and began to see a parallel between myth and memoir in terms of how we humans try to make meaning out of our lives. Both genres address the basic questions mythology poses: Who am I? Where am I going? Who/what is my tribe? Why am I here? At the same time I was contemplating the relationship between memory and identity because my mother was suffering from Alzheimer’s disease and her loss of memory affected her sense of herself. As I wrote, the book became more and more about my relationship with my mother and less and less about myth. When I showed the first draft proposal for the book to my former editor at Shambhala, Emily Sell, she said, “This book is about your mother. Explore that deeper.” I resisted at first but then realized she was right. MM: A memoir is the writer’s particular memory of an actual, not imagined, incident that occurred in her life. It is her angle of perception on what happened; her emotional truth of the event. What is important for the memoirist is not what actually happened but what she makes of what happened; what meaning she gives to it. The memoirist tries to the best of her recollection to give the truth of the event, but someone else experiencing the same event, say a sibling, may say, “That’s not the way it happened.” Well, perhaps that’s not the way it happened for them. But I’m more interested in the memoirist’s truth; in the memoirist being a reliable narrator of her truth. As we write our memoir we have the chance to examine our memory of the event. Did it really happen this way or am I making myself sound better/or worse than I was? SCJ: In Unreliable Truth, you illustrate your thoughts on memoir writing with vignettes from your own life story, giving many tantalizing glimpses into your life, yet leaving many gaps in that story. Some readers may be left wanting to know the whole story. Tell us about this decision to hold back a part of yourself in this book. MM: In Unreliable Truth I was struggling to find my voice as a memoirist rather than as a teacher. In the past, I have written academic books on the woman’s psychological journey in which I have used vignettes from my own life to illustrate stages of development. However, memoir is much more self revealing and my initial impulse, as I said before, was not to write a memoir per se but to write a combination of personal memoir and reflection on memory and identity. The decisions I made about voice and about how much of my own story to include had a lot to do with the purpose of the book. I wanted the reader to think with me about their own life. My memoirist’s voice is still evolving. SCJ: In a recent interview you have said, “The story we tell about ourselves becomes the story we live.” How does this work in ordinary women’s lives? Does this mean that, by deliberately altering the story of who we are in our lifewriting, we can change the course of our lives? MM: When I said the story we tell about ourselves becomes the story we live, I was not suggesting that we deliberately alter the story of who we are in our lifewriting. We tell the story of who we are and reflect upon it. As we tell a particular narrative, or more correctly, as we write a particular narrative, we have the ability to see the whole picture involved in the memory and observe particular patterns we repeat in our lives. Then we have the choice to continue to repeat the pattern–or not–in the future. As we make those choices, we begin to create a new narrative. For example, if I’m a person who is prone to rescuing others, and I write incident after incident about my rescue missions, I can look at my compulsivity and decide whether my “heroics” serve the other person or myself or not. But I don’t see the whole pattern of my actions until I write the memories down. I’m not changing my story; hopefully if I reflect upon my story with enough depth and wisdom, the insight I gain from my story will change me. You can’t write memoir without self reflection. Writing memoir changes your attitude about yourself and others and can change the course of your life. SCJ: You’ve written about how memoir serves a purpose similar to that of myth. It allows the reader to see the work of archetypal themes in ordinary lives. How can those of us who are practicing lifewriting in Story Circle Network’s Writing Circles learn to recognize and incorporate the mythical themes and archetypes at work in our own life stories? MM: Look at the domains of myth: Who am I, Where am I going, Who is my tribe, and Why am I here? Start to see how mythic themes are reflected in your lifewriting. For example, take the theme of “Where am I going?”, the path metaphor. Where are you on your life’s journey? Are you writing about a rite of passage such as birth, menses, first sexual awakening, first love, marriage, giving birth, divorce, or death of a spouse? Are you writing about longing, love, friendship; about the loss of a community, a job, a sense of identity? If you begin to see what you are writing about in terms of a stage in your journey, it may give you a sense of being companioned by others who have made the same journey. It may give you a sense of inspiration, of hope. In terms of “Who is my Tribe?” I continually take note of all of the recently published and not so recently published books about the search for the father or the search for the mother: Barack Obama’s Dreams from My Father; Louise Steinman’s The Souvenir; Sebastian Matthews’s In My Father’s Footsteps; Kim Chernin’s In My Mother’s House; Jackie Lyden’s Daughter of the Queen of Sheba; and Terry Tempest Williams’s Refuge, to name just a few. I myself was “searching” for my mother as she was losing her memory and searching for a way to bring closure and healing to a difficult relationship. Vivian Gornick, who wrote Fierce Attachments, a memoir about her relationship with her mother, noted that it took her the whole book recalling their life together in the 1950s in the Bronx alternating with walks they took in Manhattan in the 1980s to trace out the fact that at the heart of their attachment lay a single insight: she could not leave her mother because she had become her mother. Such an archetypal bond has a strong hold on an individual and can explain some of the choices one makes in life. I think that memoirists are our contemporary mythmakers helping us find meaning in our lives as they reveal the wisdom they have mined from their memories. Story Circle Network, P.O. Box 500127, Austin, TX 78750-0127.